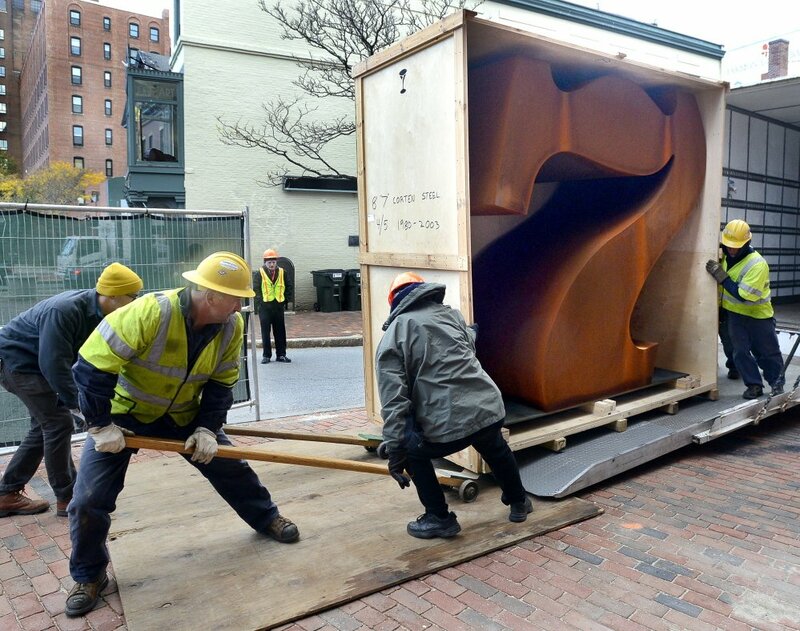 The steel sculpture, by Robert Indiana, announces the museum's presence at 7 Congress Square and will be celebrated at 5:30 p.m. Friday as part of the city's First Friday Art Walk. 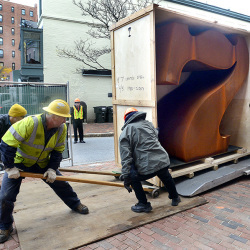 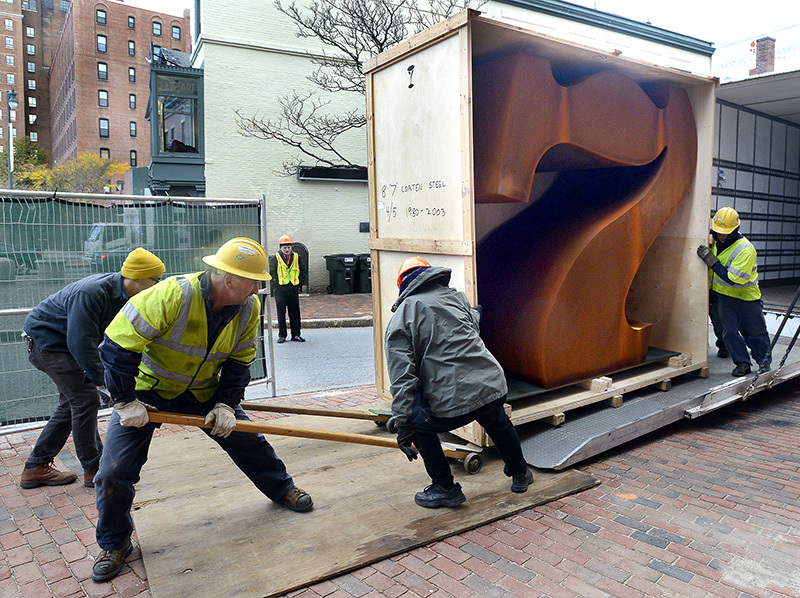 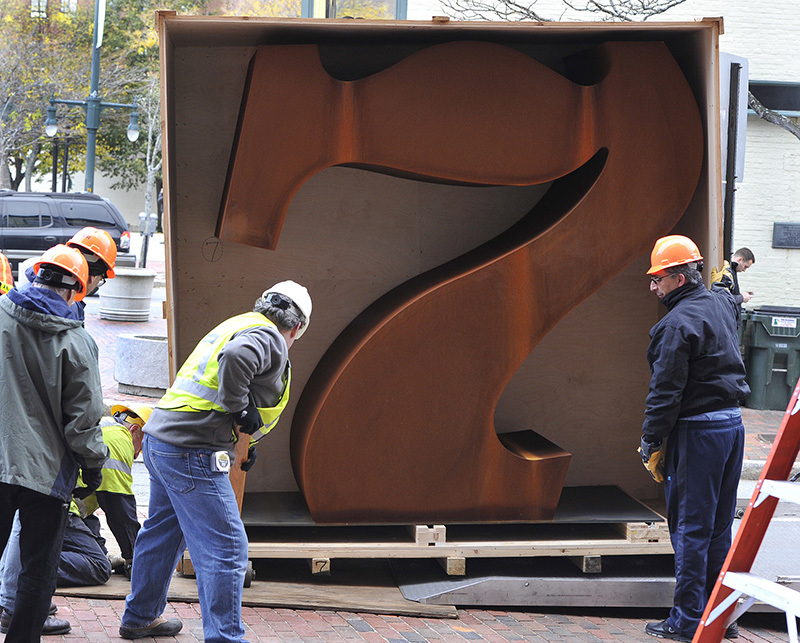 The Portland Museum of Art placed the Robert Indiana sculpture “Seven” in front of the museum Monday morning. 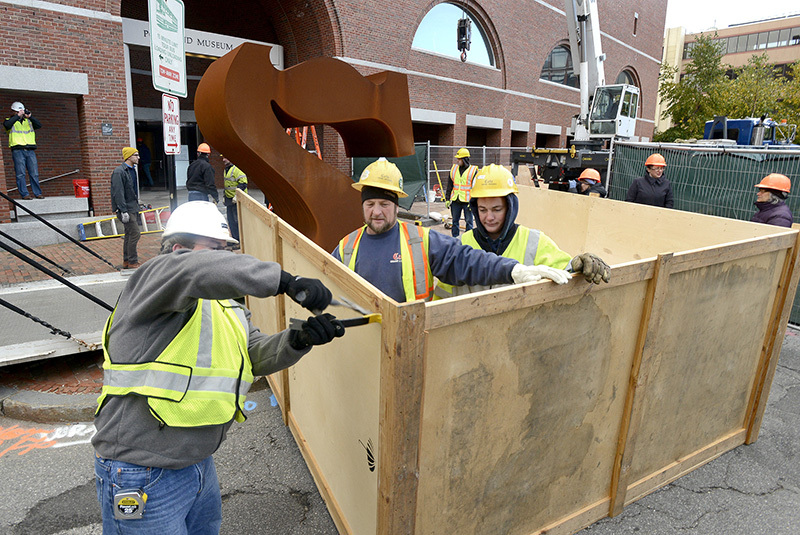 The steel sculpture, which announces the museum’s presence at 7 Congress Square, will be celebrated at 5:30 p.m. Friday as part of the city’s First Friday Art Walk. Indiana, 86, lives on Vinalhaven off Rockland. 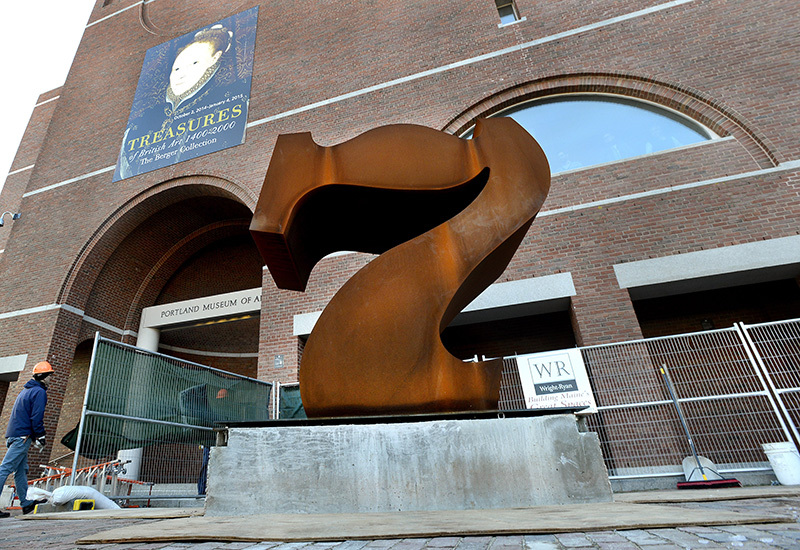 “This is a public announcement that 7 Congress Square will always be a place for art,” said chief curator Jessica May. 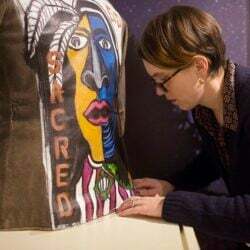 She called Indiana “one of the state’s most beloved artists,” and said placing art outside the museum is part of a larger effort to engage with the public whenever possible. 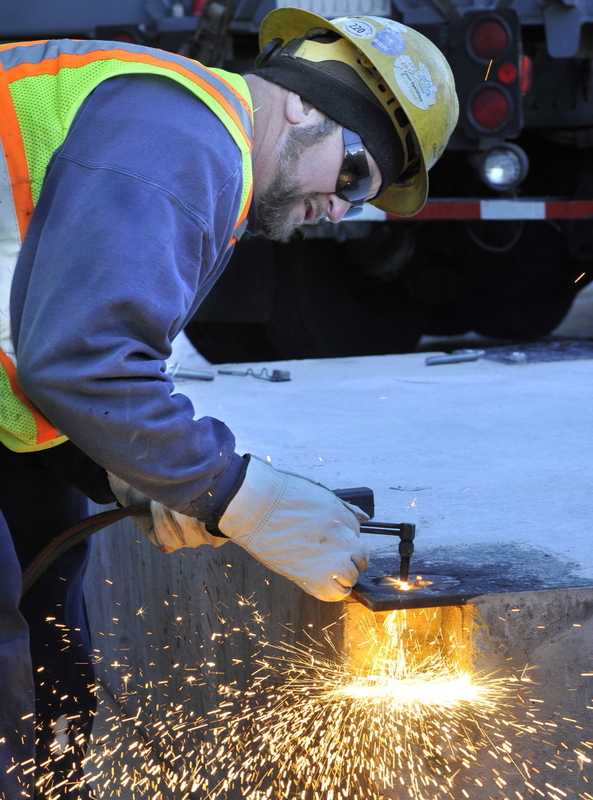 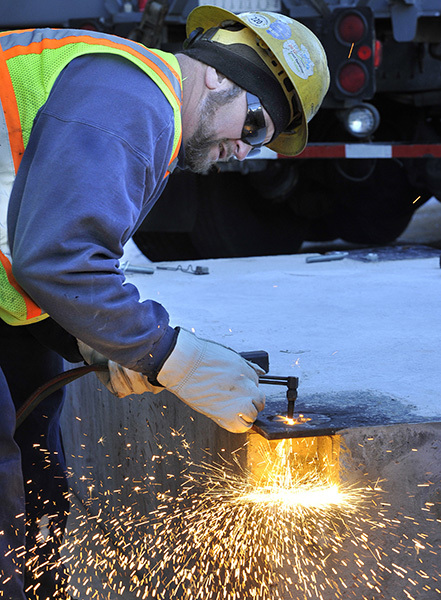 Mike Labbe cuts holes for bolts that will hold the 8-foot-tall sculpture in place. 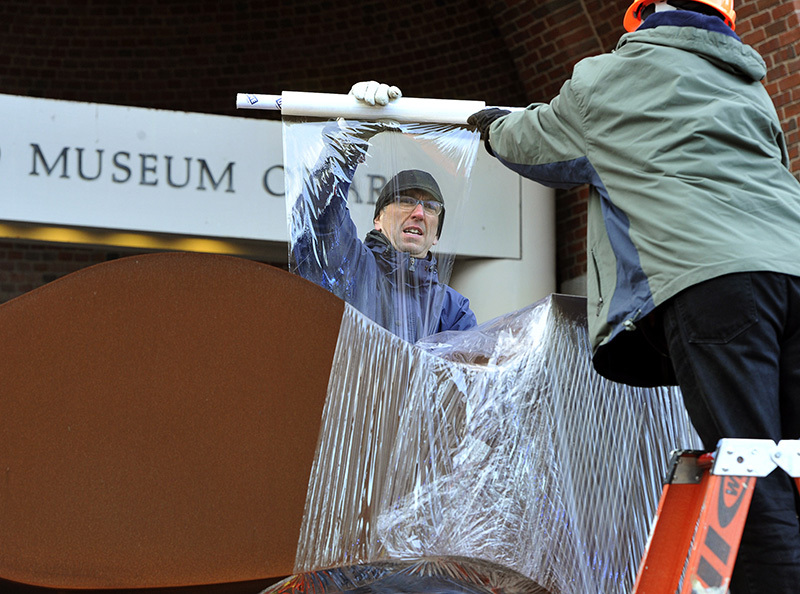 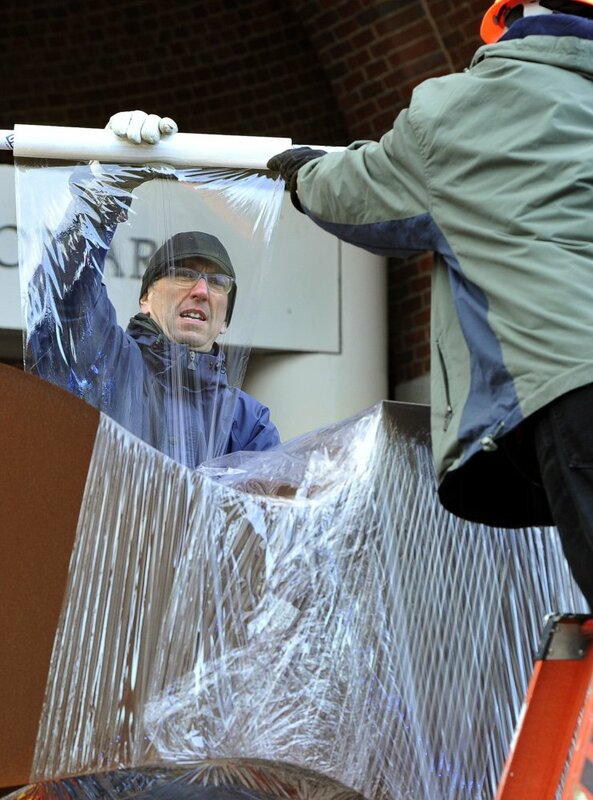 Kris Kenow and Greg Welch shrink-wrap the sculpture before it is lifted by a crane. 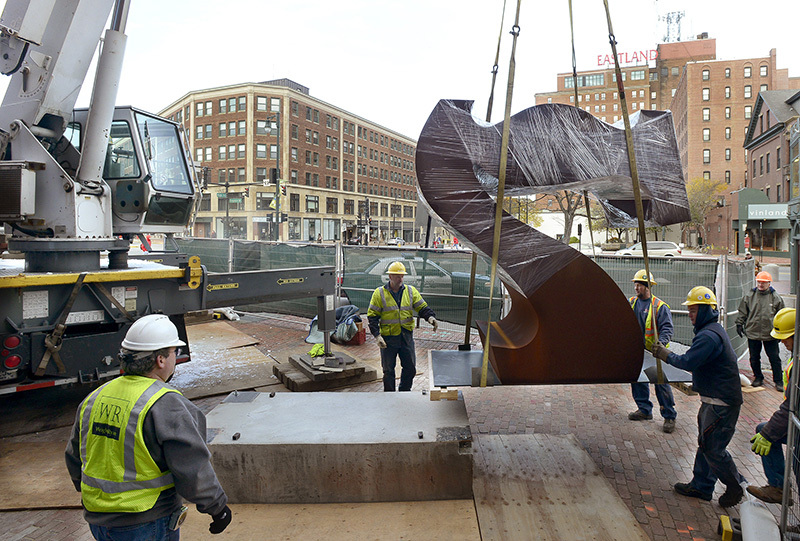 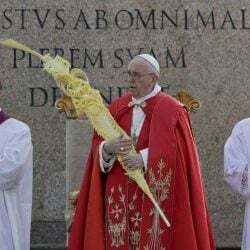 The sculpture weighs about 3,000 pounds, and was placed on a 22-inch concrete base.